Today merchants and banks store customers' personal identification records in order to authenticate their customers when they log in. These files, containing identities of millions of citizens, have become a prime hacking target. It is catastrophic when you are hit (Yahoo, Target, Office Depot), and very costly and nerve wrecking to be on guard 24/7. 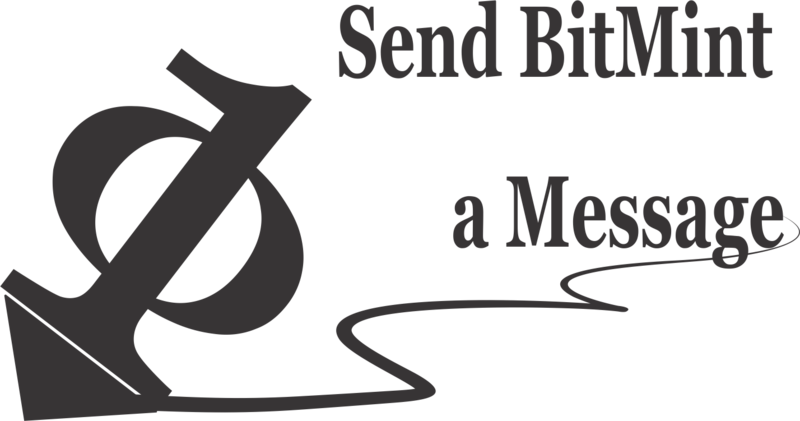 BitMint now offers "The Glove" -- a solution of great conceptual simplicity: "Don't store your customers' identity information -- and hackers will have no identity informaiton to hack" -- plain and simple! "Very clever," you comment, "but how will the merchant, or the bank, authenticate the customer as he or she logs in?" 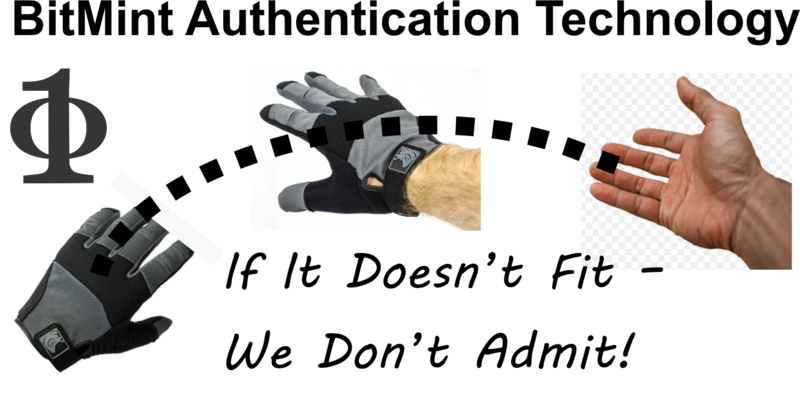 Deploying "Glove" technology, the merchant or the bank will use special authentication data, "the Glove file", to authenticate a logged in customer presenting his or her id ("the Hand file"). This 'special authentication data' will not be a copy of the customer's identification data. So if the merchant is breached and the authentication file, (the "Glove") is hacked, the thief does not get possession of the customer's id. He ends up holding the "Glove file", not the "Hand file". Possession of the hacked "Glove" cannot be used to present a "Hand" and steal the customer's identity. The hacker is left empty-handed, his stolen data is useless. Next time, the hacker will hack only a merchant that is not Glove-protected. Which is why over time, they all will. Having the "Glove", not the "Hand" file in store, also prevents 'rotten apples' employees from stealing identities. If a database is breached, and the thief tries to present himself with a stolen identity, then his attempt to present the "Glove" as if it were the "Hand" will quickly alert the database on this breach that otherwise could have stayed undiscovered for a long time. 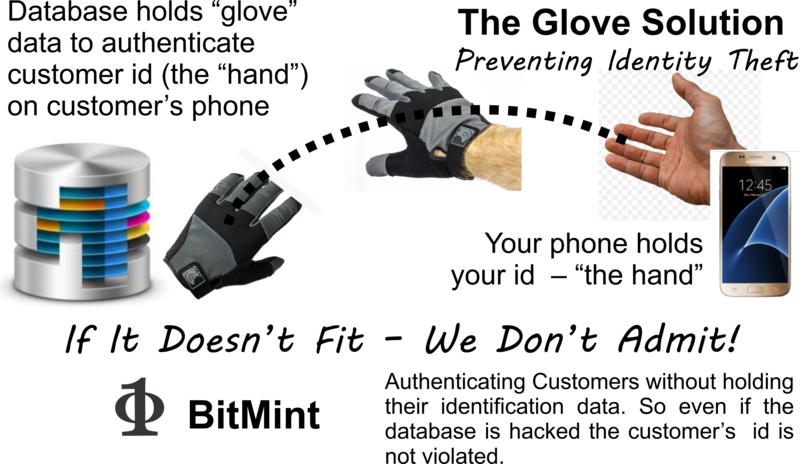 BitMint patent protected "Glove" technology can be licensed or purchased as a turn-key job.